Remember that other movie Danny Boyle was going to direct other than the next James Bond? The one he ultimately chose over James Bond? That film, always described as a musical comedy inspired by the Beatles, now has a title, Yesterday, and a new trailer which promises to please fans of the legendary band. Penned by Love Actually writer Richard Curtis, you can feel the same surreal quality in this trailer, although the passion is for that classic Beatles sound. 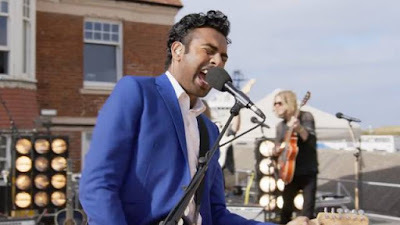 British actor Himesh Patel plays a down on his luck musician who takes a bump on the head and wakes up in a world in which the Beatles never existed. It looks like he'll go through something of a crisis with how to fill this musical void. Obviously the music is going to be amazing, but so is the cast all-around. 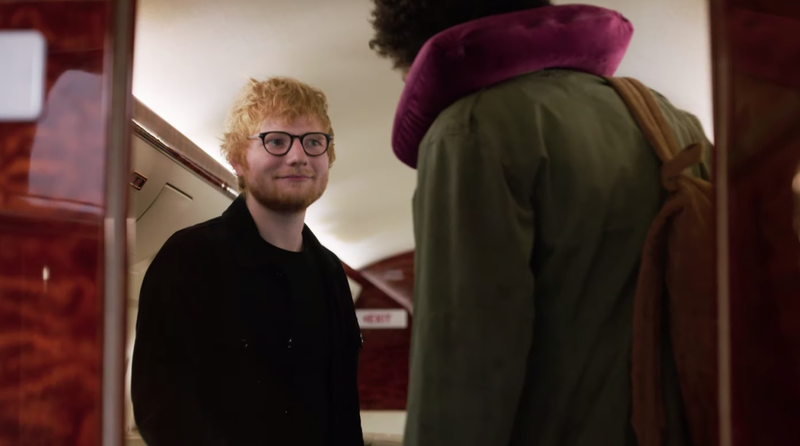 Alongside Patel are Baby Driver's Lily James, who showed her song and dance ability in Mamma Mia: Here We Go Again; Kate McKinnon who should be bringing the funny, Blade Runner 2049's Ana de Armas, and Grammy-winning singer/songwriter/musician and now actor Ed Sheeran. Not too shabby. Yesterday hits theaters on June 28th.